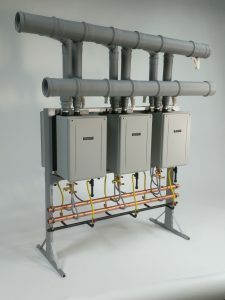 This tankless water heater model is approximately 1/3 the size of the real product and stands about 3 feet tall. 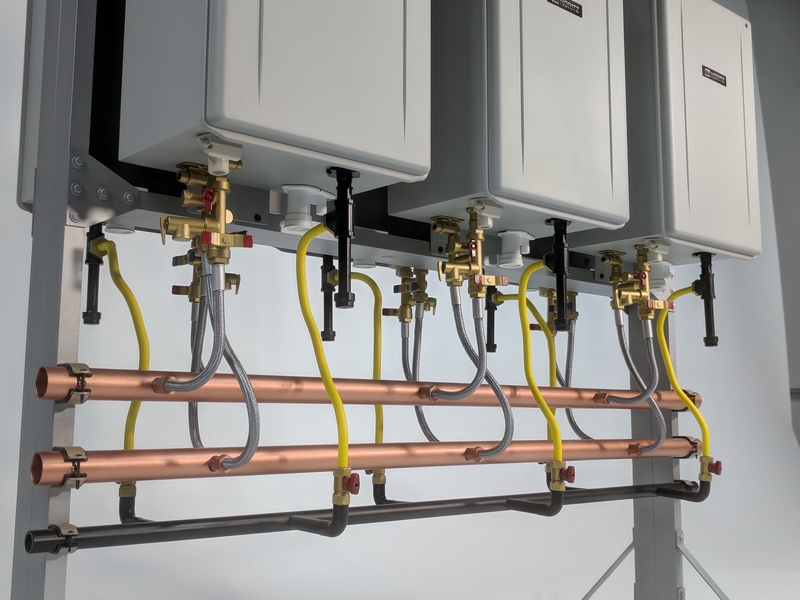 Tankless water heaters are a more efficient design than traditional units. 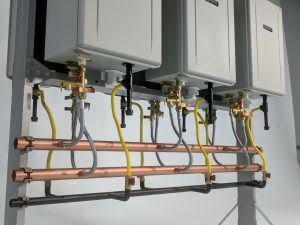 The frame of the water heater model is made out of metal. The pipes are metal as well. The boxes are plastic with milled faces on them. 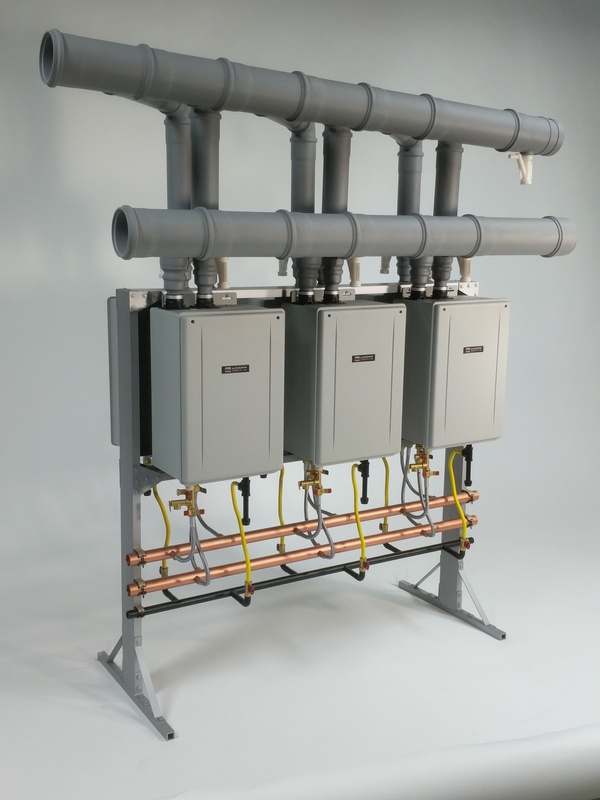 The valves are 3D printed. This model is easier to handle and transport than the actual product making it an ideal choice for trade show use. 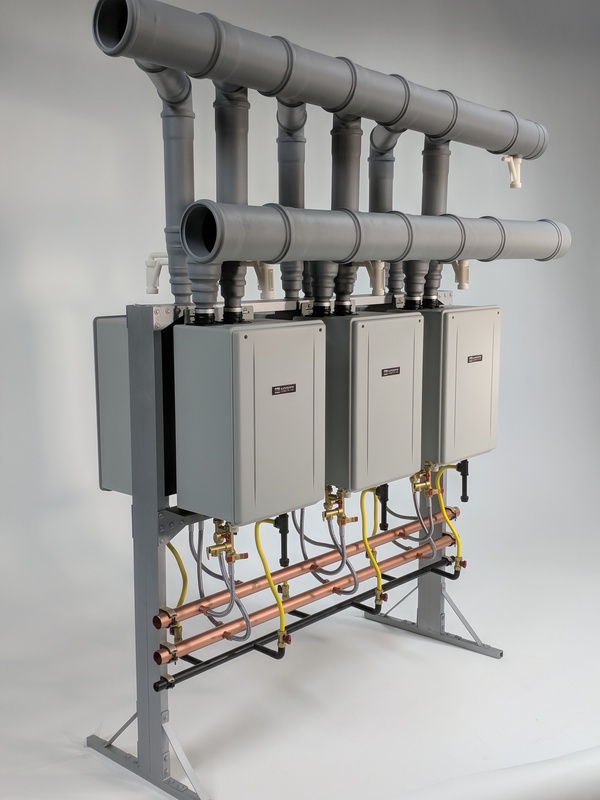 This project was posted in Industrial Models, Trade Show Models and tagged scale model of water heater, tankless water heater, trade show model, water heater model. Bookmark this project: Tankless Water Heater Model.